Sylvia S. writes: I have an 1854 half dollar coin and I am trying to find information about it and its value. On the front is a person sitting on a rock with stars surrounding it. It also has arrows on either side of 1854. On the back is an eagle with arrows in his feet. I recently came across this coin. What can you tell me about it? Thank You! Your coin is a United States Seated Liberty half dollar with Arrows at date. This particular design was minted for only 2 years, 1854 and 1855. You can see extensive historical information about all Seated Liberty half dollars at the CoinSite’s History of U.S. Coins. The value of your coin depends very much on grade (condition). 1854 Seated Half dollars bring from $15 – $600+ depending on actual grade. For a discussion on grading characteristics see the FAQ and the article on U.S. Coin Grading. To see images of exceptional Seated Liberty Half dollars see Exceptional Coins. Jeff and Taffy K. ask: What can you tell us about these notes? 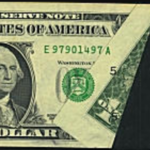 The third note was part of the National Banking System that was began after the Civil War to standardize and gain acceptance for paper money. The note is a $20, 1902 series, Third Charter period, issued on the Merchants & Planters National Bank of Slacauga, Alabama, Charter #7484. Approximate value: $150 in VG-Fine grade. For more references about paper money, search the CoinSite for paper money. Danny writes: Dear Coin Doc, I have a coin from 1837 approximately the size of a half dollar. It appears to be made of copper. On the front there is a girl and it reads E. pluribus unum on top and the date (1837) on the bottom. The back reads Bentonian Currency, Mint Drop, and the date once again. 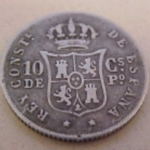 If you’re familiar with the coin could you please tell me a little bit about it? The era of the late 1830’s into the 1840’s was a period of economic depression in the U.S. The battle was between proponents of the Bank of the United States, a private institution and President Andrew Jackson who wanted to abolish it. Many privately issued tokens were struck to take the place of hoarded Federal money. These “hard times” tokens also became political propaganda instruments. The “Mint Drops” were hard money advocates and “Bentonian Currency” refers to Senator Thomas Hart Benton, a supporter of President Jackson’s hard money policies. This substitute for a U.S. large cent was a statement of hard money versus unbacked, inflating paper money (sarcastically called “shinplasters” as they were “only good for stuffing in your socks to keep warm in the winter” that were issued by the private, Bank of the United States). “Hard Times” Tokens are popularly collected as they have interesting designs and tell the story of the economic struggles of this era. As with coins, condition and variety play and important role in value. The 1837 token is 28 mm in diameter. There are two major varieties. The token is also known with the date 1838 and 1841. Approximate value Range: Good – EF US $3 – $60. Uncirculated pieces are rare: range $300 -$400. 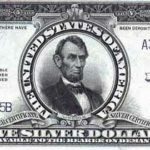 Joe N. asks: What would the value of a set of three 20 dollar bills be if they were consecutive sereal numbers in mint uncirculated condition(1985)/ The middle bill has no printing on the back side. The other bills are complete as the printing goes. Currency sheets are arranged so that when they are cut vertically the serial numbers in each stack are consecutive. Sheets are printed three times. First the back is printed, then the front and the serial numbers and treasury seal. You have a note that came from a sheet missing the first printing. Having consecutive notes are a plus. Condition is everything in coins and currency so that any bends or folds made in the paper reduce its market value. 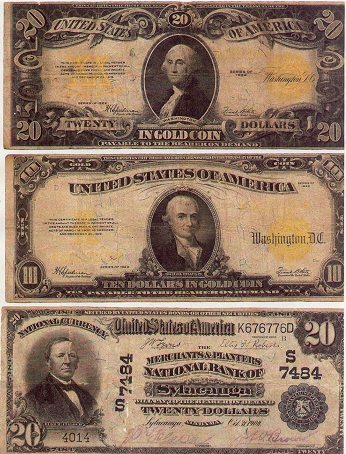 A group of three 1985 consecutive FRN notes, the middle one missing the first print and in CU (uncirculated condition) would bring approximately $300. I have a set of Rhode Island State quarter ‘errors’ – What does it all mean? 10) 2001-d, iii-c-5, struck through a dropped filling, west side of the ship’s foresail. Some of your description has to do with die varieties or minor “struck thrus”. A fairly good number of working dies are necessary to produce the half billion or so examples of each State Quarter design. I’m sure someone has cataloged observed varieties (these are the i.e “iii-g-6” designations). 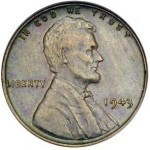 Minor varieties are not necessarily valuable but are of interest to those that collect coins by die varieties. There are often foreign bits of metal or cloth that can fall onto the surface of a blank before it is struck. The area of the blank that is covered either doesn’t receive a complete impression or the foreign material is imbedded into the finished coin (for example,embedded staples are often seen in this type of error). Market demand rises with the most interesting or spectacular “struck through”. Other minor varieties in your list have to do with die scratches, which can be an from an actual gouge in the surface of the die which creates a raised line on the coin or from light die scratches caused by deep polishing a die in its middle to late life. 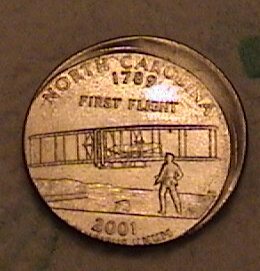 Late die state coins are not esthetically attractive to collectors unless something spectacular happens to the die. The 1922 plain cent and the 1937-D 3 legged Buffalo are examples of victims of severe die polishing that have captured the collector’s imagination. Die Breaks are the result of actual cracks in the die. The die can crack from age or excessive striking pressure. Cracks appear as a jagged raised “blobby” line on a finished coin. If a broken piece falls out the die, resulting coins will have a raised mound of metal where the broken die is missing. This is known as a “Cud”. Doubling is only of interest if it is the result of a improperly made die. Doubled dies are less likely with the Mint’s new technology. Most coins that show evidence of doubling are not from a doubled die but from the result of the coin moving when it is struck. This is the fault of a loose collar that holds the coin in place. This kind of doubling creates a shelf like effect on the doubled letters or devices not the distinct separated doubling that you would see from a doubled die. 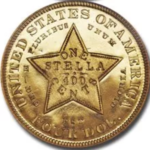 “Shelf doubled” coins are essentially unique in that no two coins “chatter” the same. When a loose collar is discovered by a Mint employee, a screwdriver repairs the problem. You can get more basic information about errors and approximate market prices from the CoinSite “What’s It Worth?” feature.